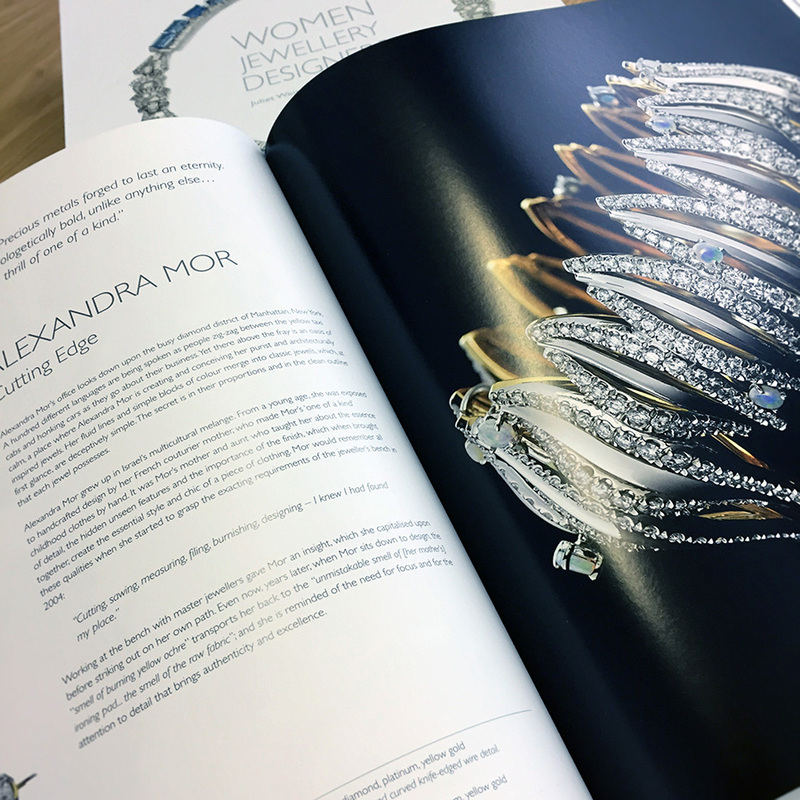 The world of jewellery-making has been dominated by males throughout history, perhaps surprisingly, since it is women who often wear their creations. However, since the suffragette movements at the end of the 19th century and the beginning of the 20th century, women have achieved extraordinary feats. 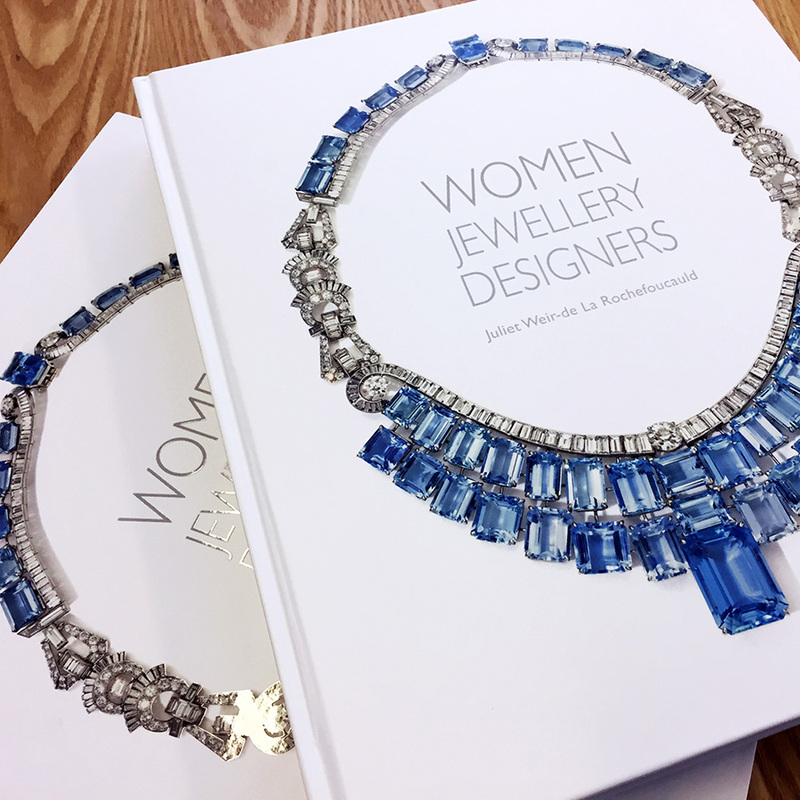 Finally, the work of women jewellers and jewellery designers are showcased in this sumptuous book, examining the work of key figures from the Arts and Crafts movement through to the present day. 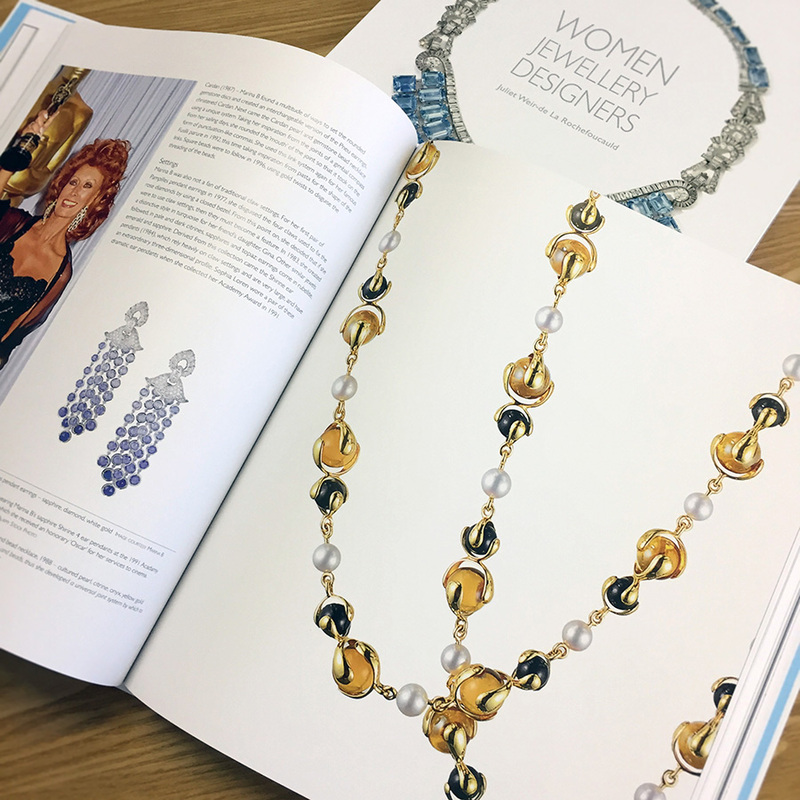 Beginning with Arts & Crafts jewellers in Britain, Europe and North America, Women JewelleryDesigners examines the key figures and movements of the pre-war period including Coco Chanel’s legendary ‘Bijoux de Diamants’ exhibition of 1932, the designs of Suzanne Belperron and the roles of Jeanne Toussaint at Cartier and Renée Puissant at Van Cleef & Arpels. From the 1950s to the present day, a wide range of international designers are examined in detail with many examples of their work clearly illustrated. Women Jewellery Designers is an important celebration of jewellers and jewellery designers from around the globe, throughout the twentieth century to the present day. 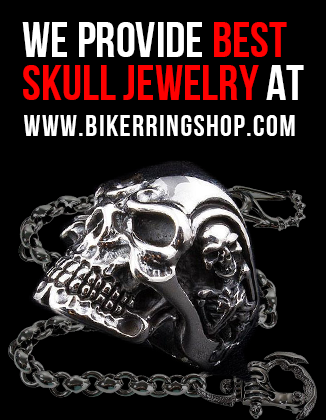 Jewellery firms include: Boivin, Cartier, Van Cleef & Arpels, Bulgari, Jensen, Tiffany & Co. Designers featured: Alma Pihl, Coco Chanel, Suzanne Belperron, Juliette Moutard, Olga Tritt, Elisabeth Treskow, Margaret de Patta, Jeanne Toussaint, Line Vautrin, Margret Craver, Vivianna Torun Bülow-Hübe, Nanna Ditzel, Marianne Ostier, Barbara Anton, Gerda Flöckinger, Astrid Fog, Cornelia Roethel, Catherine Noll, Angela Cummings, Elsa Peretti, Wendy Ranshaw, Marina B, Marie-Caroline de Brosses, Marilyn Cooperman, Paloma Picasso, Victoire de Castellane, Alexandra Mor, Ornella Iannuzzi, Neha Dani, Paula Crevoshay, Nathalie Castro, Claire Choisne, Bina Goenka, Carla Amorim, Monique Péan, Michelle Ong Carnet, Kara Ross, Lydia Courteille, Suzanne Syz, Sylvie Corbelin, Kaoru Kay Akihara, Katey Brunini, Luz Camino, Cindy Chao, Aida Bergsen, Anna Hu, Barbara Heinrich, Jacqueline Cullen, Cynthia Bach. 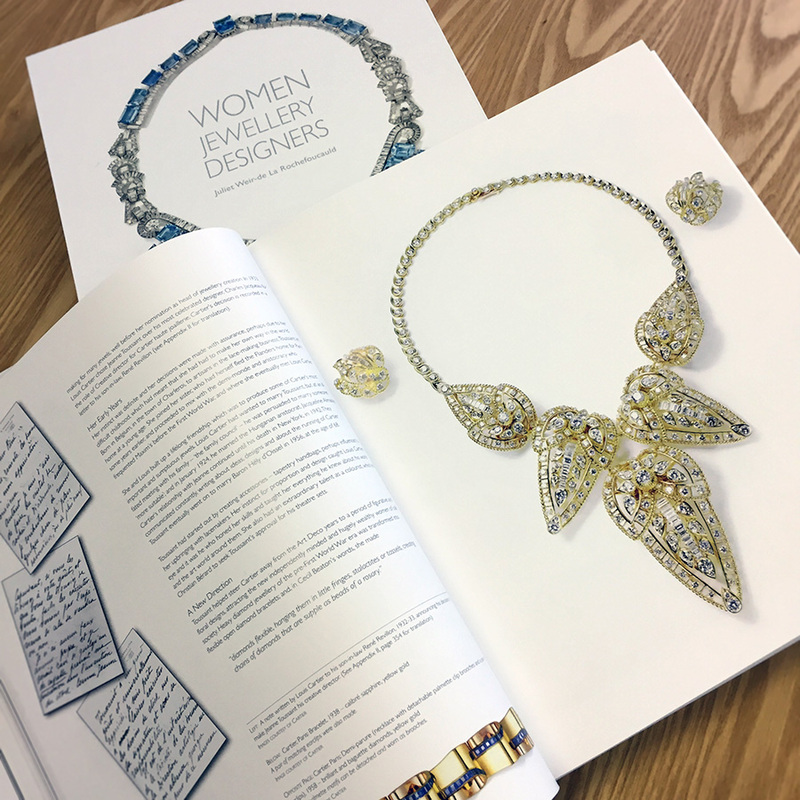 A Fellow of the Gemmological Association of Great Britain (Gem A), Juliet Weir-de La Rochefoucauld began her career at Sotheby’s & Co., London. Based in France, she is also the author of Twenty-First Century Jewellery Designers: An Inspired Style ISBN 9781851497294 (Antique Collectors’ Club, 2013). 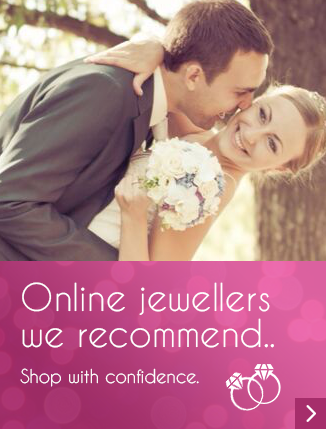 Juliet’s great-grandfather, Thomas Weir, founded the jewellersWeir & Sons in Dublin in 1869, a company that is still run by members of the family.